EverQuest celebrates an unprecedented 20th major game release with the Rain of Fear™ Expansion. 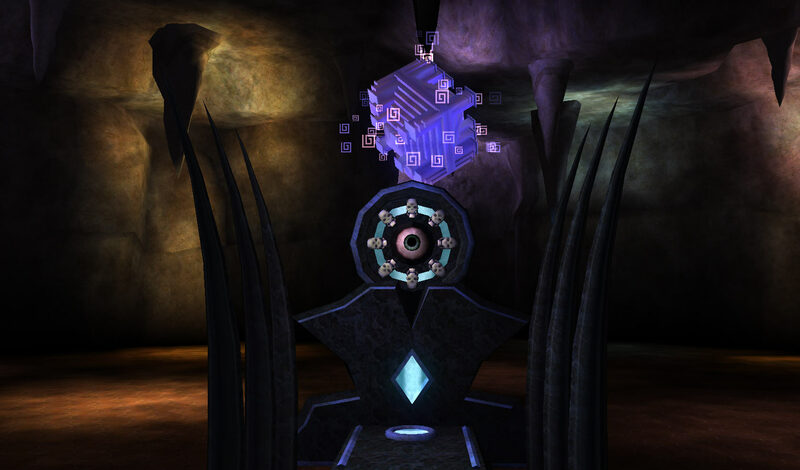 Thirteen years after the initial launch of EverQuest and 19 expansions later, Rain of Fear™ continues an exciting storyline that started two years ago with the mysterious House of Thule™ Expansion, and continued in Veil of Alaris™. You and your friends destroyed the newly created god, The Triumverate, causing an explosion that rocked Norrath and released the stolen power of fear. 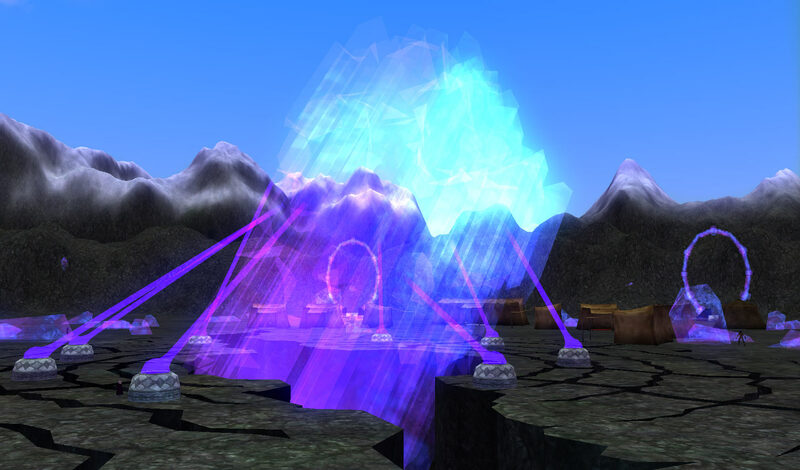 This power is returning to Norrath, falling from the sky in the form of crystalline shards. Who will gain control of the essence of fear and bring balance between good and evil? The Harbingers of Thule entreat you to gather the essence of their lost god before it falls into the hands of others. You will uncover the mysteries of the giant crystals that have fallen to Norrath, explore newly discovered lands, revisit the frozen wastes of Velious, and battle old foes empowered by shards, confront them and reclaim the power of fear. Along the way you will progress up to the unprecedented level of 100! We're pretty excited to see the first character reach level 100 in EverQuest, a true gaming landmark. We will also be adding a few amazing features to this classic game. We will be adding a way to track your relative aggro level. Ever wanted to know when the bad guy was about to turn around and mash your rogue before it happened? With the new aggro meter if you get caught over-aggroing, you'll have no real excuse. There are also new Collection and Hunter Tasks; these will allow you to gather up various items all over Norrath as well as track your kills to gain new titles and new rewards. Want to become the Gnollslayer? Gnomeslayer? Now you can. We will also be making some major improvements to the brokering system. The Autonomous Brokering system (name may change if people continue to have issues pronouncing it...) is something that you have asked us for, something that we've wanted to make for you, for years. You will be able to turn off your computer and keep your trader up in Bazaar! This is an exciting expansion for the EverQuest team, we hope it will be just as exciting for our customers as well. Level cap increase from 95 to 100 – Achieve a new max level of 100 and set a new standard of gameplay. Hunter System – Gain special rewards and titles for defeating large numbers of foes. Aggro Meter – A brand new tool to help better manage your aggro. You can now see your aggro level relative to your group. Collection System – Discover items throughout Norrath and collect sets for exciting rewards and titles. Improved Brokering System – Sell items in the Bazaar while being offline! More flexibility as a buyer to search and purchase from anywhere in the world. New Linear Item Progression – Stats on armor collected will increase as you move up from one tier to another. Customization with non-visible armor – All non-visible armor in Rain of Fear can be worn by all. You'll be able to customize your stats for every encounter. Class-specific stat distribution – Collect items that are designed specifically for each classes' abilities. More than 1800 New Spells (Ranks 1, 2 & 3) – Exponentially add to your spell arsenal. More than 550 AAs – Elevate your power and abilities like never before. More than 3500 New Items – Create your own identity with thousands of new items. More than 3000 New Tradeskill recipes – Increase your value across Norrath by creating items only available by your craftsmanship. More than 110 Quests – Challenge your skills and gather useful loot. 13 Raids – Collect valuable rewards from all new adventures. 9 Zones – Be the first to discover untouched lands of Norrath. 19 Missions – Experience intriguing lore and immersive Missions. Continued opportunity to kill off Halflings. Legends of Norrath™ – 5 Digital Booster Packs.